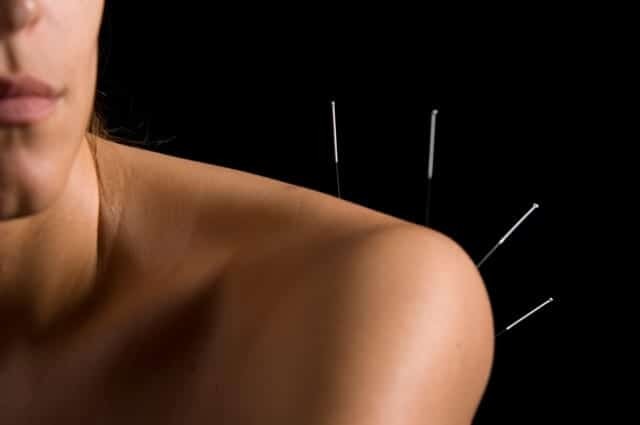 Acupuncture - Mississauga Chiropractor and Physiotherapy Clinic - FREE Consult! Acupuncture is a therapeutic method which inserts very fine needles into a patient’s body at various specific points along the meridians (energy channels). Acupuncture effectively reduces inflammation that causes pain and improves Qi and blood circulation to promote healing and maintain good health. An acupuncturist inserts hair-thin needles into the skin at precise points known as acupuncture points. According to traditional Chinese medicine, acupuncture is based on the theory that an essential life energy, called qi, flows through the body along channels called meridians. Each meridian is connected to a specific internal organ. When the flow of qi is blocked or out of balance, illness or pain results. The stimulation of acupuncture points along the meridians releases the blockage and promotes the smooth flow of qi, restoring health. What types of pain can Acupuncture treat? How is Acupuncture treatment conducted? Acupuncture generally involves several weekly treatments. Most courses consist of up to 12 sessions. A visit to an acupuncturist will involve an exam and an assessment of the patient’s condition, the insertion of needles, and advice on self-care. Most sessions last about 30 minutes.